Eight people were injured after an Aeromexico aircraft hit a service truck on the ground at Los Angeles International Airport yesterday afternoon. 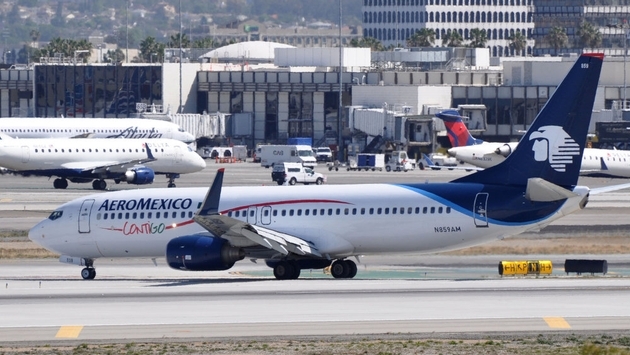 The Boeing 737 aircraft, which originated in Mexico City, had just landed at LAX at around 2:30 p.m. when it’s right wing clipped the truck. The collision caused the truck to overturn on the airfield and all injured parties were in the truck when the incident occurred. Although the injuries were determined to be non-life-threatening, one man was trapped inside the vehicle and needed to be rescued by firefighters, according to L.A.’s KABC-7 TV. None of the 149 passengers or the crew onboard the aircraft were injured during the incident. 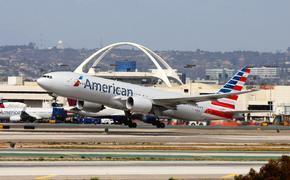 Some passengers reported hearing a “loud thud” but the airline did not immediately provide details on what happened. The aircraft was reported to have sustained minor damage to its right wing and LAX officials have said they are investigating the cause of the crash.